The property is considered semi-rural as it is just outside the village and is an old Provencal farmhouse (Mas). We offer 2 tastefully decorated studio apartments with separate entrance sleeping 2 people in each. Both apartments fully furnished, equipped with kitchenette, 2 plate stove, kettle, toaster, Nespresso machine and bar fridge. Minimum 4 nights in July and August. 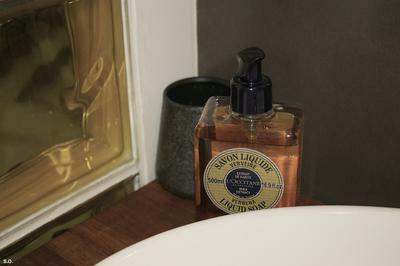 The 2 studios each have their own private bathroom/toilet with a large italian shower, no bath, with all quality bathroom toiletries included (towels, soap, shampoo, conditioner, shower gel, etc). There is an antique dining table with 2 antique chairs in each room, for taking meals indoors. The bed linens are all 100% cotton. 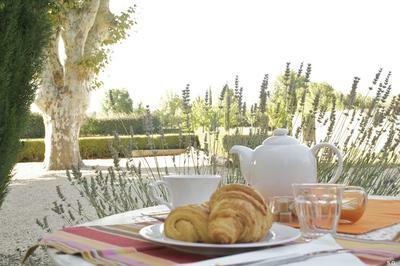 In the garden there is a pebbled terrace with wrought iron furniture for you to enjoy the beautiful Summer mornings eating croissants or pains au chocolats, or dinner at sunset. There are 3 restaurants in the centre of the village as well as 2 pizzeria's. We are on the bus route to Salon-de-Provence and Aix-en-Provence. We are also very lucky to be 2 kms from a L'Occitane Spa (the ultimate in spa treatments) with steam room, sauna, jacuzzi for before and/or after treatments. Our guests experience calm and peace here. There is a large swimming pool with loungers and parasols. 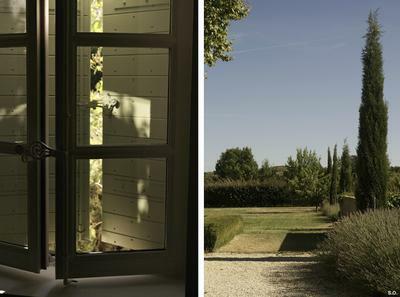 We are well positioned for guests who wish to explore Provence/Luberon during the day. The evenings are ideal to take a swim and relax with a glass of wine for apero before going out for dinner. What our guests experience here is quite unique. They have the privacy of their apartment and use of the swimming pool area and the garden adjoining the apartments. We are available to offer advice to our guests when they need it with regards to what to do, where to go and what to see in the region. Our style of hosting offers a taste of luxury at an affordable price. Pont Royal Golf course is 5 minutes away by car. Easy access to top tourist sights (lavender, mountains, vineyards, beaches, valleys, rivers, ruins, etc). Centre of village is only 1km from property. Large Double bed - 160 x 200cm. Our 2nd offering is a fully equipped 2 bedroom cottage, ideal for maximum 4 people. Minimum stay 7 nights in July and August (August 2015 fully booked).